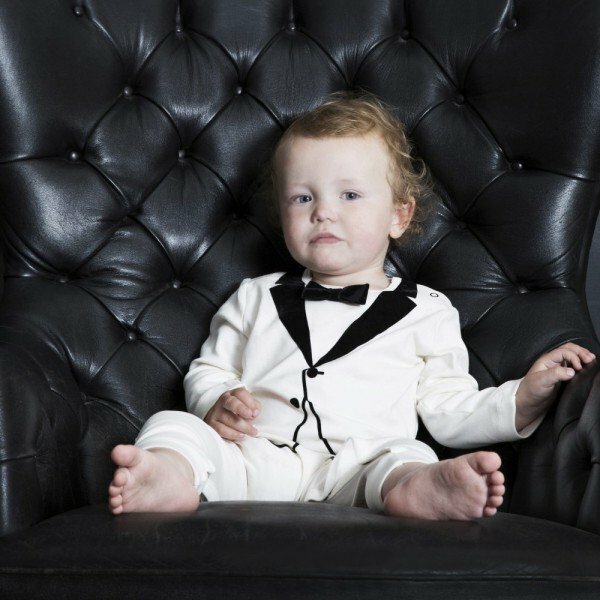 How cute is this little guy in his The Tiny Universe baby boys ivory tuxedo romper suit with cute velvet bow tie made from a soft and stretchy jersey cotton. 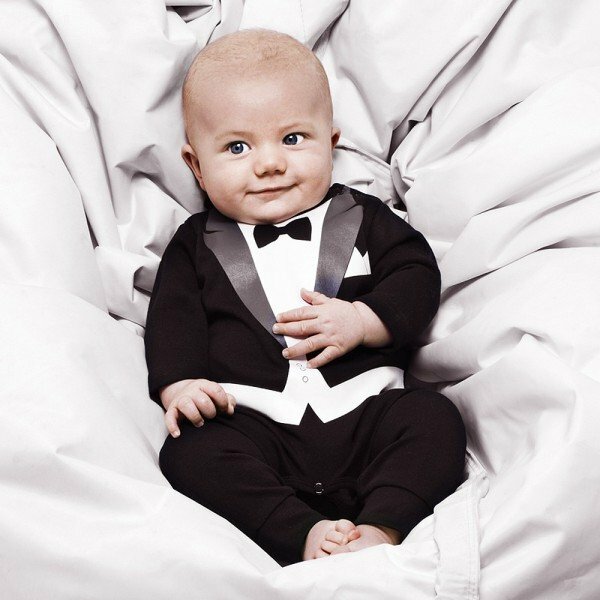 The perfect special occasion look for baby boys. Best of all it's comfy and reasonably priced. He can even comfortably nap in this outfit. Picture perfect for photographing special moments. Designed in Sweden by The Tiny Universe. Ships Worldwide.